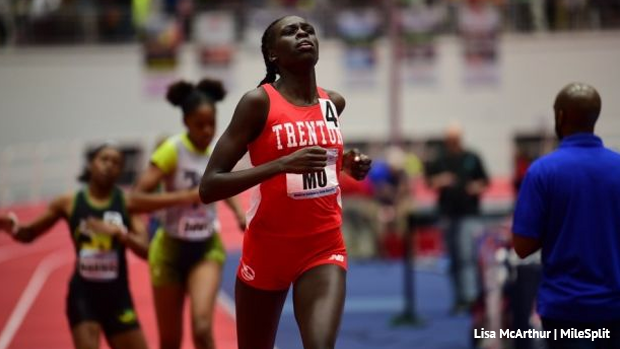 National 800m Champion Athing Mu of Trenton TC answers ten questions about her season so far, goals, and some background on when she started running. She has certainly come out with a bang this season. 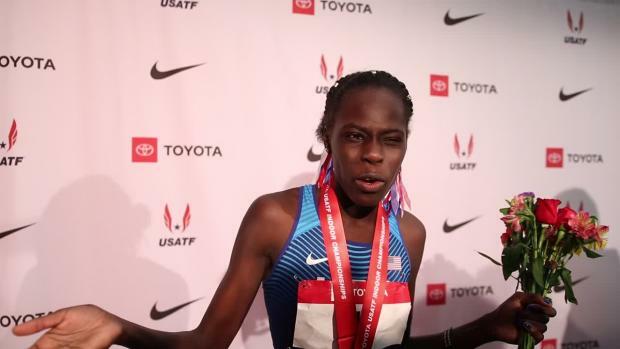 Three US#1 performances, with moves toward the top of the all-time National lists in all three, a junior class National record, and finding success in such a wide range of events in terms of distance. Q: Three US#1 times right now between the 400m (52.55), 600m (1:28.54), and 1000m (2:44.43) plus you rank top five in US high school history in all three. Not to forget that US#10 24.11 in the 200m from early January… That is a wide range. You summed it up pretty well with your own tweet, "Distance runner by day, sprinter by night." 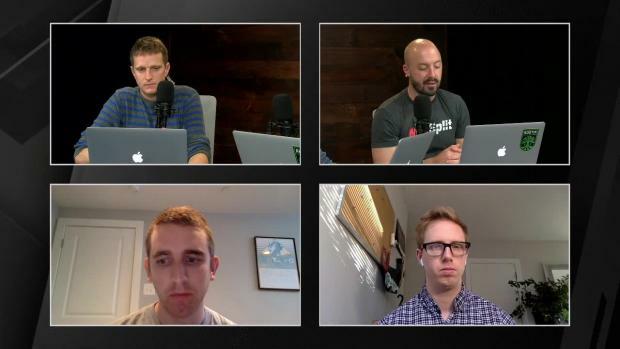 Is that success in a wide range of distances about pushing your own boundaries as a competitor, learning from one event to benefit another, or just how you go about your training in general? More your choice or coach's guidance? A: It's actually all three. When running, especially as an amateur, it's really about finding what you're good at and what you like best rather than sticking to one event ALL the time. As a runner, I do love a challenge. Along with that, in this whole process, I've learned how each event may benefit the other which is also how I go about my training. I understand that there is more than just one aspect to running, like strength and speed. Ever since the beginning of my running career, my coaches had me going up and down in distance so this is nothing new. I don't have to do it but I know the benefits I'll gain so I choose to do it. 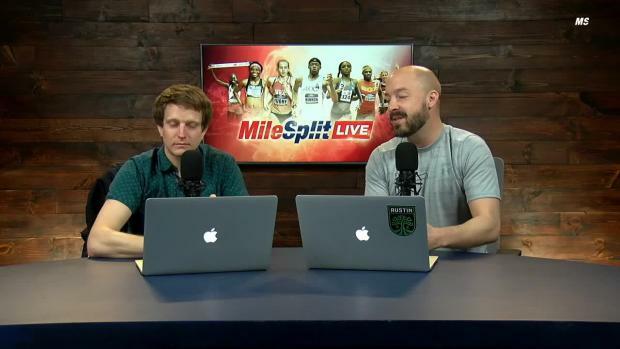 Q: If terms of enjoyment do you have a preference between the sprints and mid-distance events when you hit the track for a race? A:	I don't really have a preference between the two. The only con about sprints is how short it felt after running. Q: I know we have some big stages ahead still but out of the performances you've run so far in 2019 which has been your stand out favorite and why? 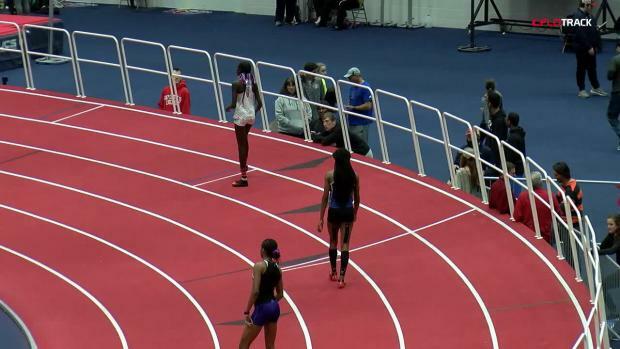 A:	Of all this season's performances, my favorite would have to be my 600m run at the VA Showcase. I was so ecstatic and beyond words to find out that was a Junior Class National Record and state record! I have been dreaming for so long to have my name on a record and the fact that it felt easy as well, lets me know I have much more to uncover. Q: You've been competing at a high level for a while now - multi-time National Champion, your success at the AAU and New Balance Nationals meets is well documented, already dropping great times in 2019... What are your end goals for this year, even spring track? A: I definitely want to go sub 2:04 in the 800m in both indoor and outdoor, and hopefully crack 52 in the 400m by the end of this year. At the end of the day, I'm all about PR'ing, and if a record comes along with it, I will gladly take it. Another goal is to make the Pan Am team this year, and get to run for USA again. Q: Which meet will we see you at next? Certain event you'll be focusing on? 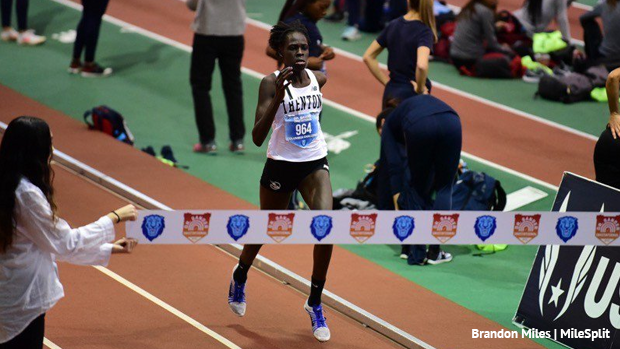 A:	I will be running the 600m one more time this season at the Millrose Games, next weekend. Then it'll just be low-key until New Balance Nationals Indoor where I'll be going after another title in the 800m. Q: How did you first get into the sport and when? Was it love from first run or did it take a while for it to stick? Any other sports that you've competed in? A:	Track & Field was like a run down in the family. All six of my siblings have run so I just followed along at the age of about six, not knowing what I was doing. I don't remember much of my early career but I know at some point I kind of questioned the sport and whether or not I wanted to continue running. I wasn't always the "best", and it took a little while for me to understand the sport. The only other sport I've done was swimming during my eighth grade year. Q: So much success for you running in the club scene. How long have you been with your coach? When you were coming into the high school years was there a point you considered running for your high school or was it no doubt club all the way? A:	I've been with Coach Jennings since I was 10 years old. Coming into high school, I did consider running for my high school but I came to a conclusion it would be best for me to continue training with the club team. Q: Favorite subject in school and why? A:	My favorite subject in school currently is Biology. I think it's so cool how everything is connected, created, and made of so many different things. Q: Is there a particular athlete that you really look up to? One in the sport of track and field or one outside of it, reasoning? A:	I look up to the former Olympian, Madeline Manning. 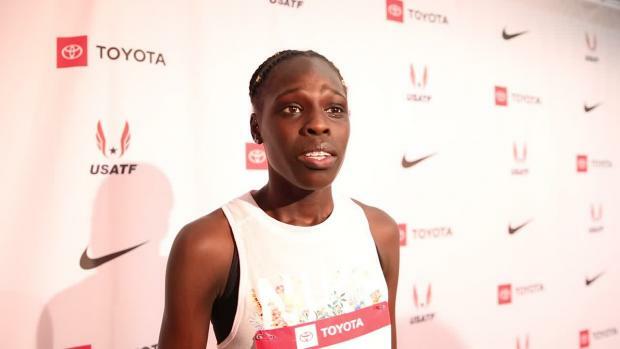 She was the first, and still is the only American female to win a gold medal in the 800m. One day I hope to follow after that in an Olympics soon. Q: Thanks for taking time out of your no doubt busy day to answer some questions for us. 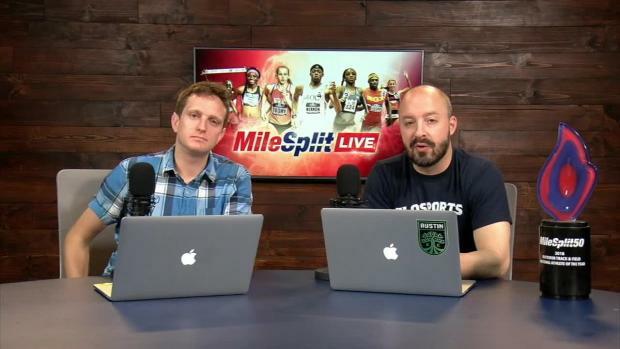 Any closing remarks for the MileSplit readers?